Ethiopia, as the entire Horn of Africa region is currently experiencing the consequences of one of the worst droughts in decades. 70% of the refugees are located in areas affected by this great humanitarian emergency and a large increase in arrivals is expected in the coming months. The MOM project begins in Ethiopia, the second-largest country in Africa. It hosts people fleeing wars and famines such as those in South Sudan and Somalia. 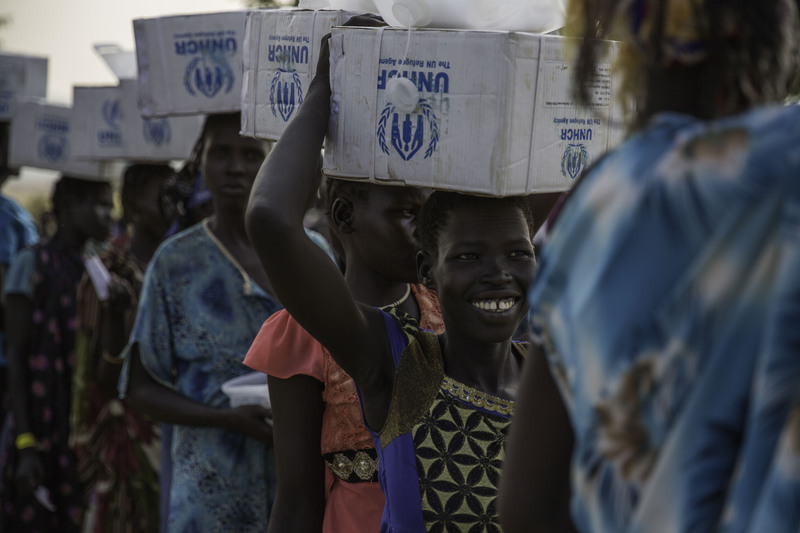 Half of the refugee camps have high rates of acute malnutrition. Its daily water consumption is 6 times less than that of a person in a developed country. Food clippings have made them a very unvaried diet and consume only half of kilocalories than a person in Europe. Ethiopia is currently hosting 840,000 refugees who have fled Somalia and South Sudan to survive. In 2017, the Horn of Africa was going through a particularly difficult famine situation. The worst drought in the last 60 years devastated Southern Somalia, and many of those who came to their neighboring countries did so with high rates of anemia and malnutrition. In the camps, they will spend an average of 17 years in which humanitarian aid is all they have to survive.